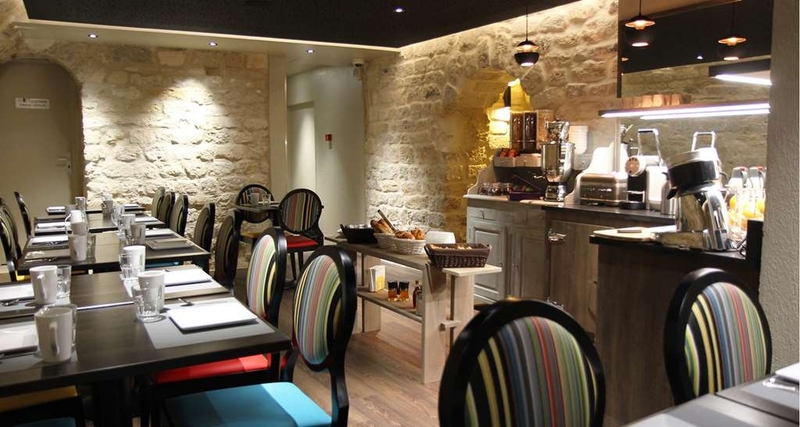 The Best Western Hotel Le Montmartre Saint Pierre is ideally located in the center of Paris. Come and experience our hotel near the major tourist attractions. Best price guaranteed and exclusive deals. "Right ratio price-service. Good emplacement"
It was as expected a good place to spend the night after walking through Paris. Friendly staff and close to the Metro. Nice views to the Sacre Coeur as well at a decent price. I had a good time over there. "My one night stay was acceptable"
i was due to depart Paris the next day after arriving at Gare Du Nord from Amsterdam. It is about 10 mins walk from the station and there a lot of shops in the vicinity of the hotel which is convinient. The surrounding area is okay but one will always need to becareful when in Paris. The room size is acceptable with the expected amenities. My only gripe was the bathroom has no door so can be quite awkward depending on who you are staying with. The lift is also too small so you will need to make a number of trips up if you have a lot of luggages. Dear guest , thank you so much for taking the time to review on yor recent stay at the Best Western Le Monrmartre St Pierre. We are glad the hotel met your expectation . 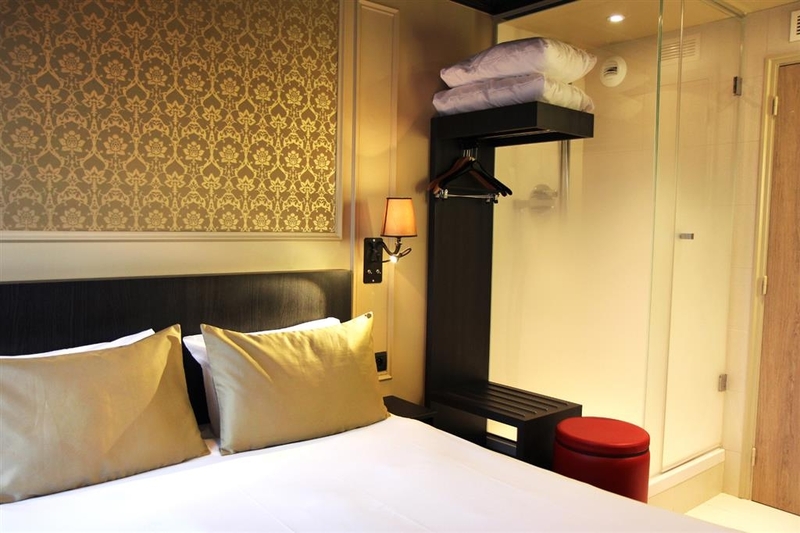 The size of the lift is very parisian , we do have a luggage room to keep the luggage you do not need in your room ! We will be happy to welcome you back . We have enjoyed our stay in this hotel, can not complain about anything, only the corridors could have better lighting, in the evenings you barely can see where you are going. We have stayed here for 3 nights. Location wise it is brilliant! Very close to Montrmartre! Dear guest , Thank you so much for taking the time to review on your recent stay with us ! 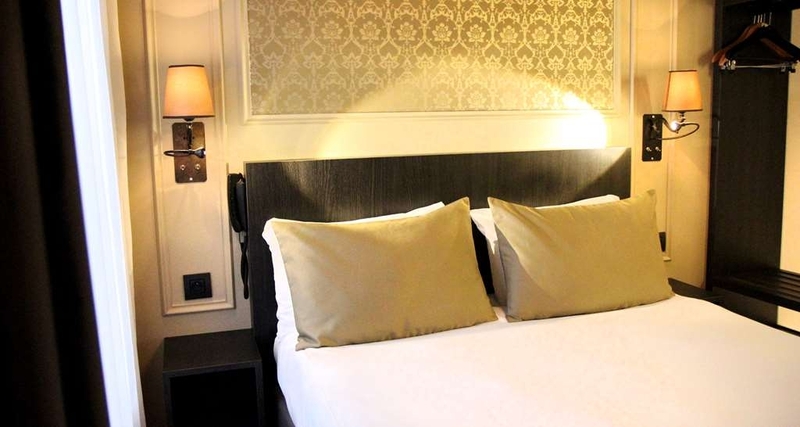 We are glad you took advantage of our wonderful location near Montmartre . We will be happy to welcome you back . Warmest regards from Paris ! "Too small room and breakfast room in bit dodgy area." I had booked 2x Deluxe Twin Rooms for my family. As one of the rooms had a strong smell of mold, I got another room but a much smaller one with a quite narrow double bed. The room had hardly space to open the suite cases. The rest of the hotel is narrow as well with a tiny elevator, narrow staircase and a small breakfast room with too little space for the guests. The last day of our stay we even went outside the hotel to find a boulangerie to eat breakfast as there were no seats available. The hotel is located in a bit dodgy area but very close to the Sacre Coeur. When walking towards the center you very quickly come to a much nicer area with pleasant restaurants, bars and shops but just around the hotel there aren't many nice looks. There are two metro stations very near. Wi-Fi Internet is free but quite slow and sometimes was not working. The staff of the hotel was very friendly and helpful! The facility is situated next to two metro stations line 2 and 4. The hotel is located on a very quiet street. You actually feel very safe staying at this facility. The staff members exercise professionalism's at every level. Dear Guest , What a wonderful review ! It was a pleasure for our staff to be useful during your stay ! We will be thrilled to welcome you back ! We planned our trip to Paris carefully and I booked this hotel based on the great reviews. I have to say that we were so happy we stayed here! Great location, rooms are updated and modern, we got the superior room for a little more and it was worth it. The bathroom was huge and the shower had great water pressure and lots of hot water which is what my husband requires to make him happy. The staff is friendly and helpful, have to give a big shout out and thank you to Alexandra & Angela for being so patient with us and giving us great information about the area including the bus route that goes to Les Puces Flea Market! Sacre Coeur is just blocks away so it is an easy walk even for us older folks. We found plenty of great places to eat and visit. I don't have any really negative things to say except that our in room coffee supplies were not replenished daily and we had to go to the front desk to get them, but that is really no big deal considering how nice the room was. Beds were comfortable, and for someone with back problems that was important. We slept great! Even though it is a major street, it was really quiet with the windows closed. Thank you Alexandra & Angela and everyone at the BW Montmarte St Pierre. We miss you! Dear Mary , Thank you so much for taking the time to review on your recent stay at the Hotel Best Western Le Montmartre Saint Pierre . Alexandra and Angela were very happy to help you during your stay with us ! We are glad you appreciate your stay in Paris that much ! See you soon you for your next visit to Paris ! This little hotel is within walking distance of Gard du Nord and superclose to Sacre Coeur and Montmartre.When we arrived at thr train station and got a little lost walking to the hotel we felt a litle uneasy aboiut the neighborhood, but after a few hours we felt safe and secure and comfortable with the surroundings. A bakery and a supermarket a few doors down and tons of restaurants in walking distance. Metro close by too with the 18 directly going into the other attractions in Paris. You ARE in Montmartre and it is fabulous. 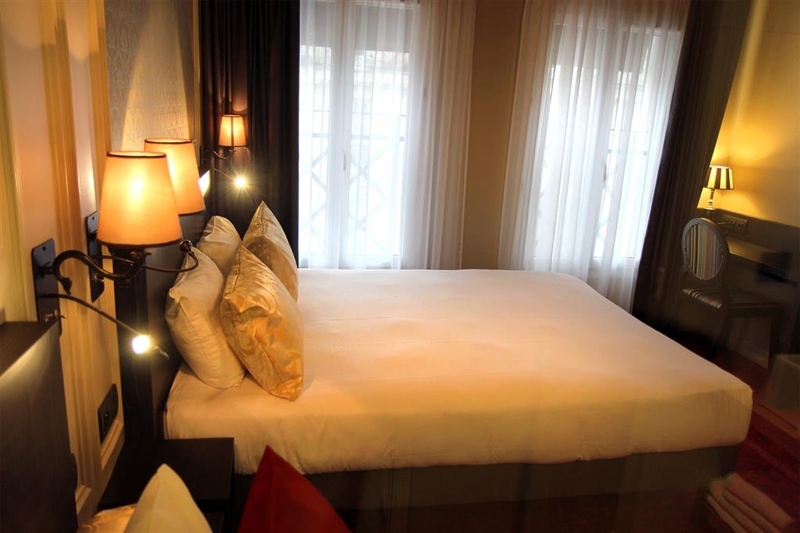 The hotel has clean ..lovely decorated small rooms, with comfortable beds and VERY nice bathrooms. The breakfast was a great deal with a fabulous spread of Paresian and international goodies...we highly recommend it. The staff is absolutely the best, we stayed here for 3 nights and felt so much at home. Merci to all of you and we will be back . Dear Marja, What a wonderful review , thank you so much ! We are particularly delighted with your comment on our breakfast as we are reorganising our breakfast completely Thank you for recommending us ! See you soon , we will be more than happy to welcome you back . Warmest regards from Paris . "NIce place for the night!" We only needed a stop for sleep/change and storage. Perfect. Staff very helpful, room fit our needs. If you are good with walking (we are) great location to start your journey from. Rate is typical of location, fair. Decor good and the room was nice and clean. Dear guest , Thank you very much for taking the time to review on your recent stay with us . The staff was more than happy to help you during your stay ! We are glad you liked our typical parisian and bohemian deco ! We will be delighted to welcome you back . Stayed here for 7 nights. Staff were wonderful and very helpful. Most spoke English well enough to understand. Rooms were very clean however on the small side, but we did not spend a lot of time in the room. Bathroom very functional. Close to the metro and to the Sacre Coeur. Breakfast was sufficient to start the day. Dear Alan , thank you so much for this wonderful review ! We are delighted to know the staff helped you during your stay with us . Our staff speak English as well as Italian , Spanish and even Romanian ! We will be happy to welcome you back ! Dear guest , Thank you so much for taking the time to review on your recent stay at the hotel Best Western Le Montmartre St Pierre . You requested a twin room , we did not have upon check in but we gave you 2 rooms instead for free on the first day before giving you the twin room . We are very glad you did enjoy your stay and the upgrade to a superior room is a very good value as you have more space for only 20 € per night . We will be delighted to welcome you back . Nice hotel very close to Sacre Coeur (150mt far from the monument elevators). In essence the hotel has good connections (metro line 2 - Anvers or, lines 2 and 4 - Barbes). My room was big enough, comfortable and clean, bed large and soft. The wardrobe was a very simple one (open-style). Breakfast on average, when I did it there wasn't any croissant or pain au chocolat. Reception and service in general very efficient, price on line with same hotels-size in town. Good address in Paris. Dear Amedeo , Thank you so much for this wonderful review ! You appreciated the good geographical situation of the hotel You felt very comfortable in your room , what else to add ? We will be happy to welcome you back ! Stayed here for 3 nights in paris. First of all, the reception staff is worth parising. Wonderful people and very very helpful. Rooms were very clean and nice. A bit small though but didnt matter as we used to come back at 2am everyday. 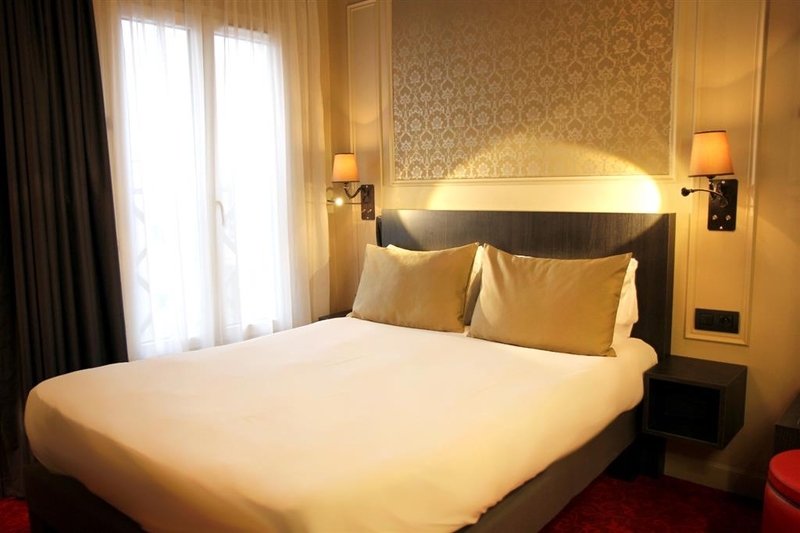 Budget and cute place overall with walking distance to Sacre-Coeur. Dear guest , Thank you so much for this wonderful review ! The reception staff was more than happy to help you during your stay ! We are indeed very close to the Sacre Coeur and we are glad you enjoyed it . Warmest regards from Paris . 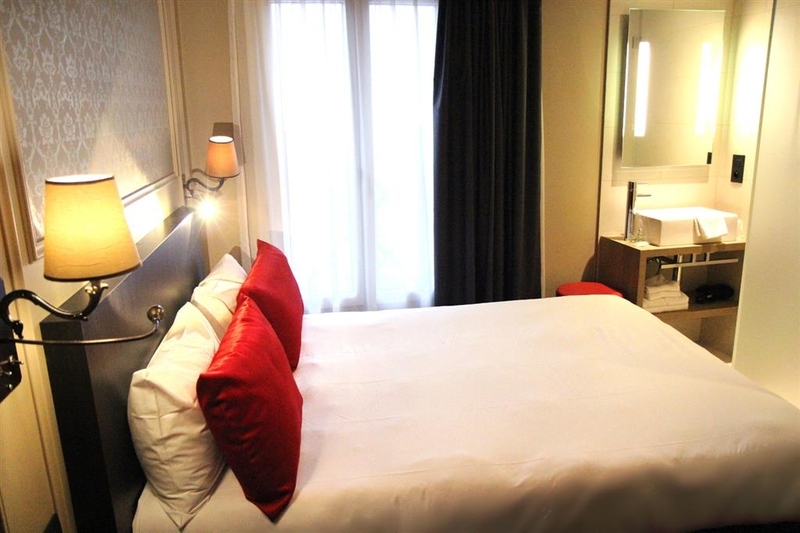 "Clean, helpful staff, close distance to sacre coeur"
Staffs were very helpful. Quick check in and check out. And also help us to book airport shuttle. The elevator is small just for 1 person and 1 luggage, but it was ok. The room quite small but still comfy. Just walk a couple minutes you will be arrived at Sacre Coeur. Easy to find some place to eat and minimarket and souvenir shop. Just 5 minutes walk to Anvers Metro Station. Dear guest , What a nice review , thank you very much ! What else can we add ! 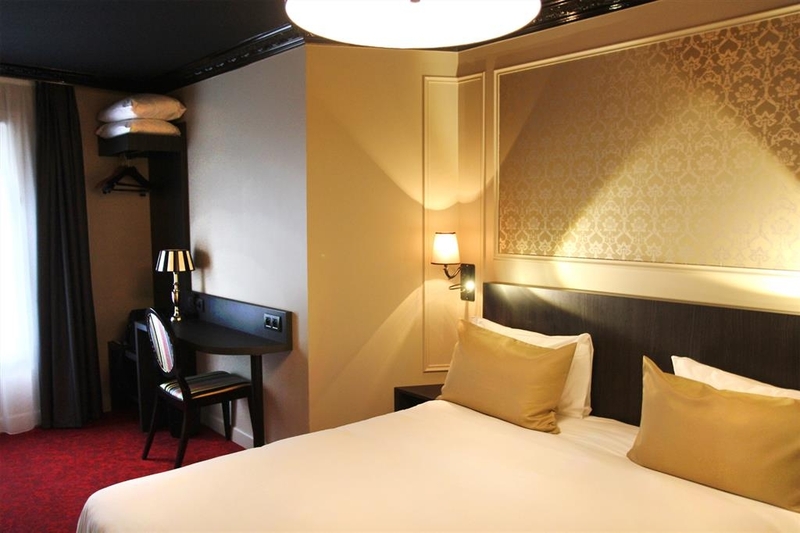 See you soon at the Hotel Best Western Le Montmartre St Pierre . 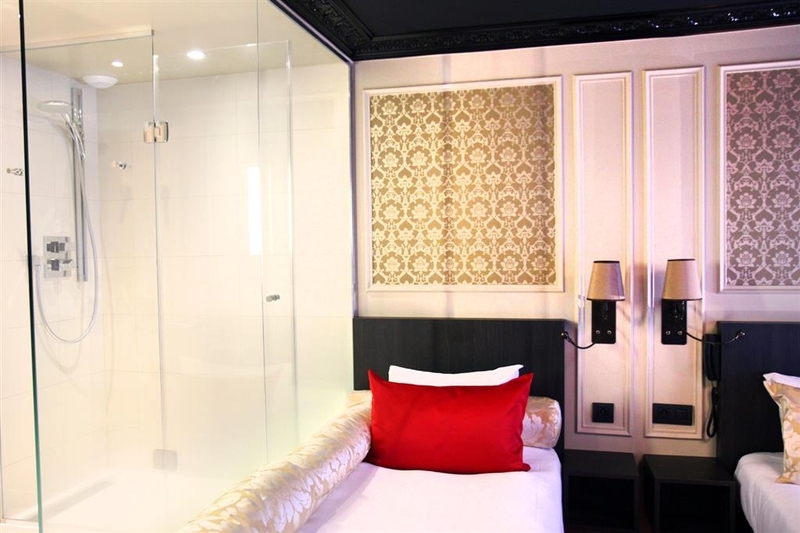 This hotel is conveniently located near Sacre Coeur and 2 metro stations. Very clean. Pleasant staff. Good breakfast (cereals, scrambled eggs, yogurts, coffee, fruit). Rooms are tiny, but well-equipped, modern. Bed very comfortable. Great value. Very safe. Only reason for not giving 5 stars is the location. Though near Sacre Coeur, be aware this is not a very upscale area of Paris. But we walked the streets safely and would return to this hotel again. Dear guest, Thank you so much for taking the time to review on your recent stay at the hotel Best Western Le Montmartre St Pierre . Our Breakfast is a nice buffet with a very good variety of products , we are glad you enjoyed it ! We will be happy to welcome you back ! "3 day Parisian Solo Flights"
Dear guest , First of all , thank you for this review on your recent stay in Paris . Our hotel is situated in a very bohemian part of Paris , it is very secure thank you for pointing at it ! We are happy you overall enjoyed you stay ! 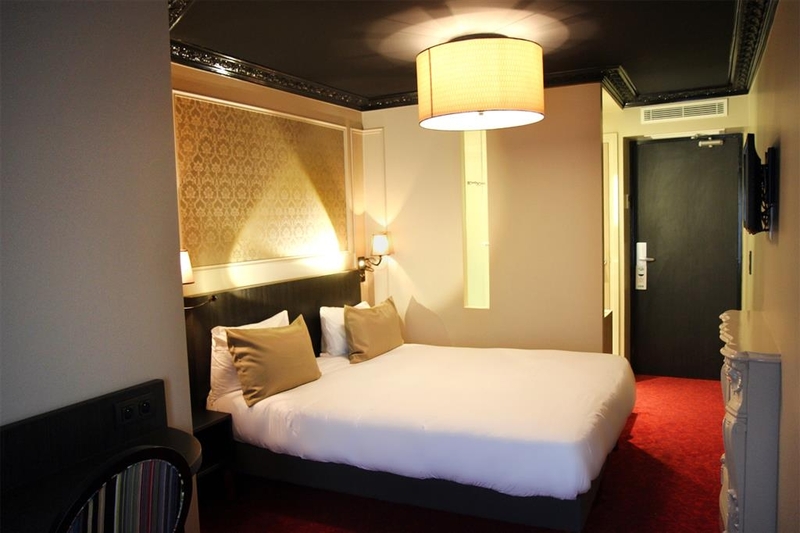 Hotel is easily accessible from metro and from Line B of the RER (direct line from CDG Airport). Right next to Montmatre, restaurants , etc. Room is basic but clean with free but slow Wi-fi. Room has a safe but no mini-fridge (or at least mine didi not have a mini-fridge). No acknowledgment or benefit of being a Best Western Elite member. Dear guest , Thank you so much for your review on your recent stay at the hotel Best Western Hotel Le Montmartre Saint Pierre . We do acknowledge Best Western elite member , I am sorry you did not get any , next time do not hesitate to send us a message before your arrival . Warmest regards from Paris . We stayed in this hotel for a few nights. The location is perfect. Very close to the metro and Sacre Coeur. The rooms are small but for us it was ok. And well it's Paris..so that is the standard. I agree with other reviews that the shower is a bit awkward but not really a bad situation. The shower itself is good haha! The rooms were always clean and we had airco in our room which was perfect. Nice staff. Would recommend! Dear guest , Thank you so much for taking the time to review on your recent stay at the hotel Best Western Le Montmartre Saint Pierre . Thank you for recommending us, and fot your compliment to the staff ! All our rooms are equipped with aircon , we are glad you appreciated it ! Warmest regards from Paris . This hotel was very close to public transportation which is ideal. Reception was courteous and pleasant. Grateful for in-room coffee. We had booked a superior room and when looking at the floor plan I was glad I did. Our room was spacious although it looked to be almost twice as big as a standard room. The king bed was very comfortable. The bag balconette was nice as the weather was perfect. My only criticism is that the bathroom has a water closet for the toilet...I am all of 5'6" and not a large person, but I had to sit at an angle otherwise my knees touched the wall. I've been in some tight European hotel bathrooms but this one was uncomfortable. Although the room was clean, the shower was laden with mildew. Dear Allison, thank you so much for this nice review . Our superior are quite comfortable espacially for a longer stay . Our staff was glad to help you during your stay . Warmest regards from Paris ! "Pleasure trip to Paris. " 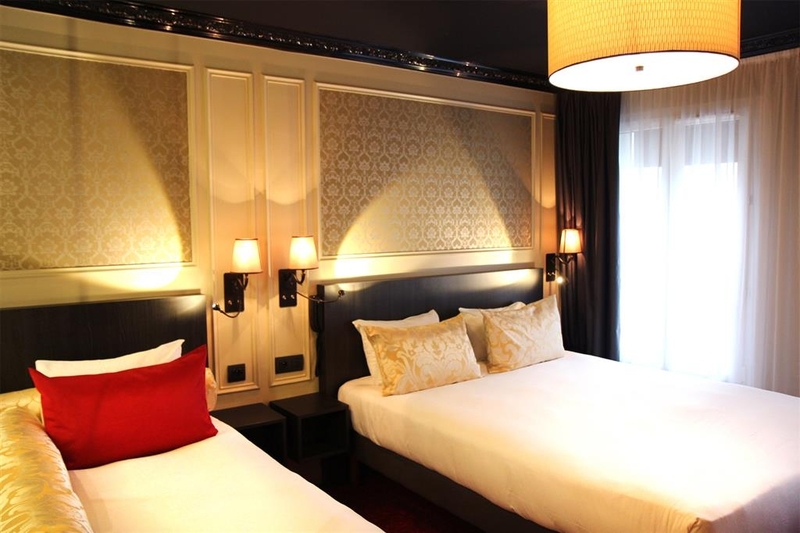 The hotel is located 5 minutes from the Sacre Coeur nestled in lovely Montmartre. This was my second time staying here. 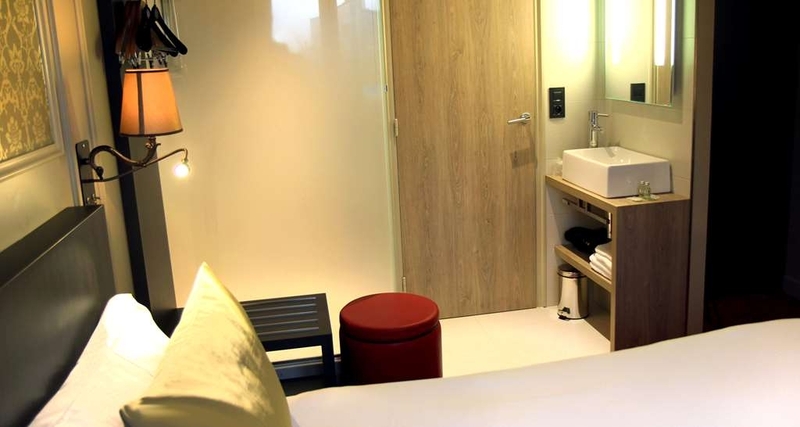 Like most hotel rooms in Europe, the rooms are smaller than hotels in North America & other parts of the world. Fortunately they made staff changes and got rid of Alain since my previous trip in November. I'm glad they kept Hossain, Samantha and Angela. They are are fantastic and really care about the guest experience. The price is right too, under €100 per night. As far as breakfast, it is limited but who cares, they have a lovely patisserie and a friendly super marche a few doors down from the hotel. Oh yeah, for the diehard McDonalds fans (I'm not) you can get your breakfast from there. It's a block away. My room with a view. The only thing they need to work on is the intermittent WIFI connection. To all the staff, thanks again for the great experience. Dear Susan We are happy your recent stay in Paris met your expectations . 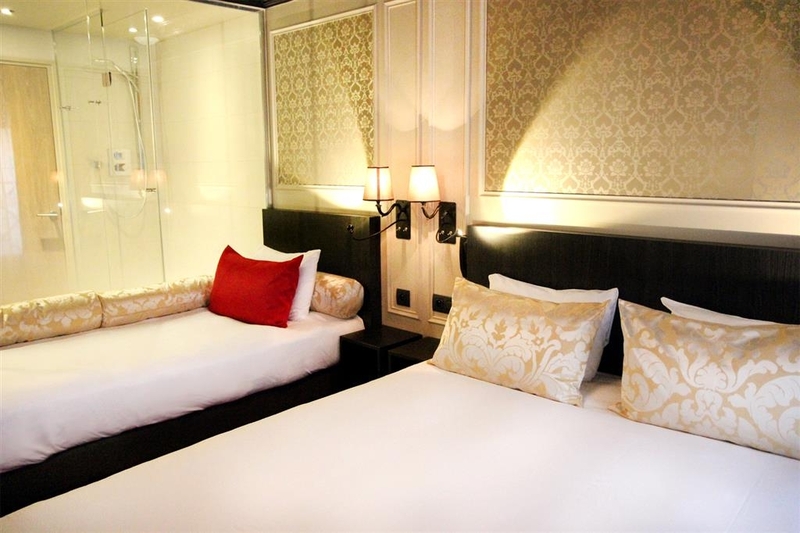 Hossain , Samantha , and Angela thank you for your nice comment , they were more than happy to meke you feel comfortable during your Parisian stay ! We will be thrilled to welcome you back in November ! This place advertised it had AC. We get to the hotel and they say they have turned it off. We were on the 6th floor and had to sleep with the window open because it was so hot. I woke up with about 15 bug bites on my back. There was also dried blood all over the mirror. After originally booking two triple rooms through a third party website we changed our booking to twodouble rooms. The hotel contacted us directly asking if we would still take the triple rooms at cost and they would remove a bed and give our party of 4 breakfast on both mornings of our stay. We agreed. Our rooms were tiny, certainly not triple rooms. And the sad continental breakfast on offer did not make up for the room rate we paid. Aside from this we had a lovely stay. Reception staff were lovely and friendly. Rooms were very clean and the beds comfortable. No actual bathroom could be a bit awkward, luckily I was there with friends of 20+ years so we got over it! Location is great, just 2 minute walk from a metro stop. Lovely places to eat nearby. We got a taxi into the city centre and it was only €20. Would return but if staying more than 2 night's would need to ensure larger room was available. We were looking for a cheapish place around this area (close to Gare de Nord train station) - Located about a 10min walk which was good. Supermarket and McDonalds close by. Staff were friendly and welcoming. Even though I'd read reviews about tiny rooms ours was a decent size for the 2 of us. Toilet room a bit thin however and shower doesnt have a separating door from the rest of the room - good we are not shocked by the sight of each other! We stayed two nights - bit disappointed that our coffee capsules and water wasn't replenished on our 2nd night. But as we had an early start on checkout anyway so didn't have time for our morning coffee. There was a dirty used cup left from the previous guest (although it was slightly hidden for the cleaners to miss). The elevator is the size of a closet and seemed a bit dodge so a bit apprehensive to use but as we are able-bodied we took the stairs anyway. Overall the room was decent and useful for its purpose. Dear guest , we are so glad you enjoyed your stay that much ! 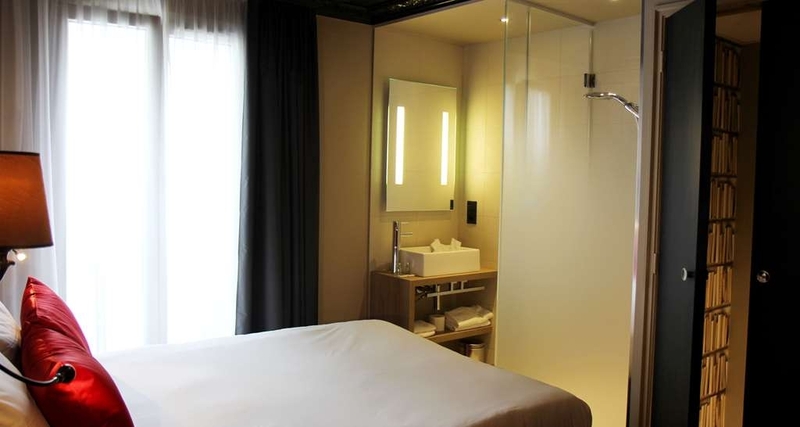 we do have very modern rooms with open bathrrooms very suitable for couple ! The coffee capsules are welcome amenities we do not replace automatically , you are very welcome to ask us for more if you need more . We will be happy to welcome you back ! Dear Peter , Thank you so much for taking the time to review on your recent stay with us . We are so glad your anniversary trip turned to be the trip you expected for ! We will be more than happy to welcome you back ! My partner and I stayed here for 5 nights at the beginning of April. After reading some of the reviews on this site I was somewhat apprehensive about what to expect when I arrived. Immediately, all thought of the negative reviews were quashed with friendly staff always willing to answer any questions you may have. I was very impressed with their knowledge of the local area and their attitudes towards helping tourists! The only downside to our stay at this hotel was the size of the toilet. Being over 6", I found it hard to use the toilet without leaving the door wide open. The shower being in the middle of the room was an intriguing feature of our room, I probably wouldn't recommend this hotel for travelling friends but other than that, extremely good value for money and I would happily return in future. Dear guest , Thank you so much for this wonderful review ! we are so glad the hotel met your expectations ! The entire staff was more than happy to help you durig your stay . We will be delighted to welcome you back ! I think the price was really great but the room I has was the smallest. There wasn't even room to walk around the bed and the shower was tiny. All in all, I didn't spend much time in the room and the bed was comfy. Please note that the location was in a neighborhood that was colorful and busy with lots of marketers and peanut roasting in shopping carts. About 4 blocks from the Metro and from the Sacre-Coeue Basilica I walked, a lot. Best little shopping and eating district *Rue Des Abbesses* ever! I went there twice and could have gone every day. Breakfast was nice, with lots of choices. Best part was the friendly staff. I'll never forget Cedric and Valentine! Je t'aime! Dear Guest , Thank you so much for this very nice review ! Our staff was happy to help you and make you feel comfortable! We will be happy to welcome you back ! "Very bad hotel and worst experience"
Very very small rooms, quality of furniture worst. Room was so small that we couldn't even open up the whole luggage for two people and the bathroom was toooooo small. One couldn't even fit in the shower area. The heater was not working and the reception didn't even react after complaining. Great hotel, freshly renovated, staff lovely and helpful, the only thing I would change, as an international traveller from Australia I would recommend they have rooms ready for early arrivals, after 24 hour flight, we arrived first thing in the morning and couldn't get into our room, had to get on a hop on bus and travel around the city till 2 when our room was ready. Very tired, Breakfast was ok.
Dear Zvonimir , Vali and Ilari , Thank you so much for this wonderful review ! The entire staff , including Gaspard , Hossain and Alexandra were so pleased to make your stay so enjoyable ! Whay can I add ! We will be thrilled to welcome you again ! "Reasonable but depends on staff member"
This is our third stay at a hotel in this price range in Montmartre now, so we have a reasonable idea what to expect. Some features are a little on the small side but that's par for the course. The breakfast is good value, the free WiFi worked well, the location was very handy and actually only a short walk from Gare du Nord - although Metro and bus stops were readily available locally. Like much of Paris there were unfortunate people sleeping on the streets and begging not far away. Although the hotel itself seemed secure and left us feeling safe. But, the thing about a hotel is if there are any issues, it's really comes down to how the staff deal with them that can make all the difference between a good and bad stay. During our stay we had some small issues and found a massive difference in quality of service depending on who we asked. One particular member of staff probably needs to rethink his career as everything was a problem for him. Here were our three examples:- 1) The room had a strange smell - is there anything you can do please? Sorry we're full. But pushed him to see if he could get it cleaned instead, a huff, roll of the eyes and all of a sudden a room was available, that was much better. 2) On the 2nd day the room had been cleaned well but they'd missed replacing the complementary coffee & tea. Apparently according to this staff member, you only get complementary tea and coffee on the first day. Ask if there's anything he can do - nope. You'll have to use the communal area - but that has no tea. Eventually another member of staff went away and kindly came back with a handful of supplies. 3) Then we asked if we could book breakfast for the following morning please? Apparently, he'd already cashed up so couldn't take our money or our request - just go down in the morning and tell them that this was the situation and we could probably still have it at the cheaper pre-booked rate. A couple of hours later a change of staff and it was no problem at all for the chap who was on later to take our money and book breakfast for us. So in summary, one member of staff really lived up to the poor Parisian stereotypes - everything was a problem for him, the default answer was a shrug of the shoulders and “no” - he just didn't want to help (anywhere else they'd be suggesting retraining or even a career move away from customer facing). But on the other hand other members of staff were great, friendly and helpful. In fact I'd go as far as to say that one member of the team was so exceptionally good (the lovely guy who looked forty but was actually in his sixties!) that he carried the whole experience to balance out the shockingly poor other guy - if I'd only dealt with him for everything, this would have been a glowing five star review. Overall, I'm afraid I can only give it an average rating though, because it very much depends on who you are lucky or unlucky enough to find on reception when you need them. SinceI was able to book the room for 60 euro per night including breakfast I found it good value. The room is small but cozy and clean. Its also tastefully decorated. Breakfast consisted of bread pastries ans 2 hot dishes, juice n coffee. It was fine to get you started. Now for the location , to be honest its not in a pretty part of paris. Many times we felt unsecure especially around Barbes metro at night. But it was convenient to travel around since there was also a bus stop that can take you directly to eiffel tower and other tourist stops 2 mins walk from hotel. I probably would choose a different location next time but if I get the same rate I would consider staying here again. Dear Guest , Thank you so much for this nice review on your recent stay at the hotel BW Le Montmartre Saint Pierre . You are more than welcome to stay with us again ! Warmest regards from Paris ! It does not deserve to stay in this hotel. Rooms are very small and service is very bad. I requested a sleeper but they rejected to provide me a sleeper even with the money. 1stly they gave me a room on the roof and then the second day I insist to change and they changed. Unfortunately, breakfast was very poor too. It was near to Anver station 4 minutes by walk. "Awful! Bad attitude and bad location!" We had visited so many Best Western in United States before, and this one was a really bad experience since the beginning, the personal in the lobby was very and unhelpful, they told me to dont let all baggage in the floor but they didnt help us to carry them to our room. The room was really small and we didnt enjoy our vacation over there. I was really affraid of the hotel's location, i felt really insecure when i arrived to the hotel, the neighborhood is unsecure, with people selling on the streets and they offert you sustances, so i was really worried about my self security. I can not recommend this type of 1*hotel when you are paying for more than that. Be really careful and keep an eye about this hotel in the middle of the ghetto. 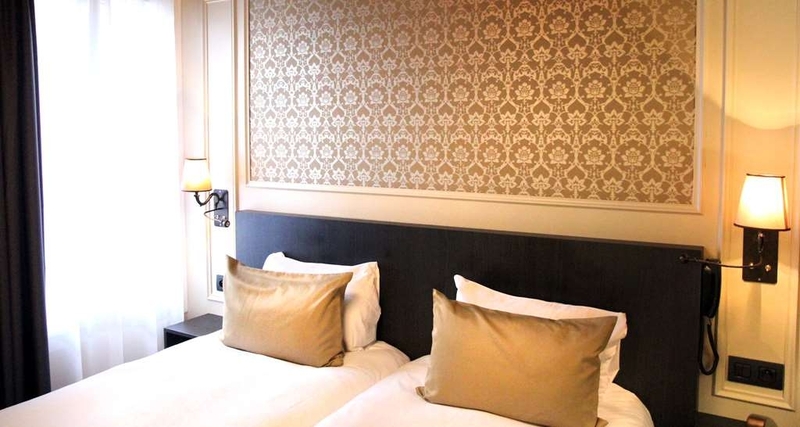 "A small hotel located in Montmartre"
The hotel is located near two metro stations and another one not so far from it. The immediate surroundings of the hotel don't look so nice, but a block away or so it's very nice and charming. There are three supermarkets and a Mcdonalds within walking distance. The rooms were clean and tidy, but tiny. Beds were comfy, and the room was newly decorated. Our room didn't face the street, so it was quiet and tranquil. It had everything that we needed, the only problem we faced was the lack of refrigerator (but we placed our items in front of the window; the weather was cold so nothing happened to them). The staff was very courteous and friendly, and the breakfast was efficient, not so many stuff but items essential for a good breakfast. I Would recommend this hotel; for this price you wouldn't find anything much better. For the money paid, I found this hotel to be OK. 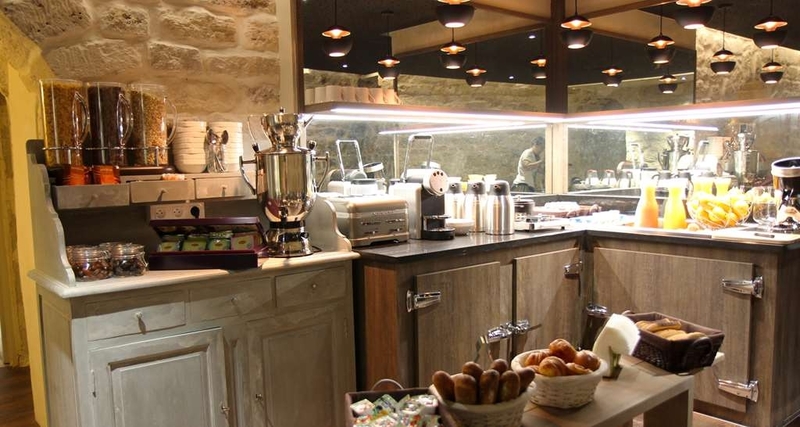 It is located in a very good location and in a very nice part of the city near the Sacre Coeur basilica. Many metro stations nearby and staff are also friendly. Rooms are small and there is no fridge in them but are equipped with safe box. Bathroom is in the middle of the room and it's not covered so if you travel there with your friends or family it would be a bit uncomfortable. Dear Guest , We were happy to read such a nice review on your recent stay at the hotel Best Western Le Montmartre Saint Pierre . Thank you for your comments on the staff , we were happy to make your stay so enjoyable. We will be happy to welcome you again . Dear Guest , What a wonderful review ! 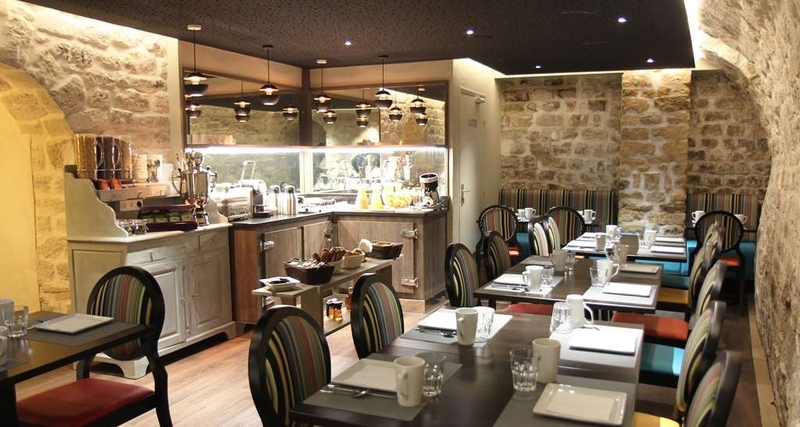 The Best Western Le Montmartre Saint Pierre is perfect either for business or leisure . We are glad you chose to come back every time you come to Paris . See you next time ! I stayed here from June7th to June 9th. I arrived early, and the staff kept my luggage safely secured. My room was on the first floor, facing the street. It was loud during the night. If you need a more quite room, I would ask where a more quite room would be located. There is an elevator, which it quit small. It says it will hold three people, but not with luggage. There are two metros stations, the M2 and M4. They are only a 2 -5 minute walk way. It takes, at least a half hour by metro to get to The Louvre, The Effiel Tower, and Pere Lachaise ( the cemetery where Jim Morrison is buried). The room I had was a double bed room. Not sure if it would be good for two people. There is a vending machine with drinks and snacks. Staff is helpful and knowledge with any questions. There are many places to eat, even a McDonlads. A bakery a couple of door down the street. There is a bar/restaurant across from the hotel, Commerce Barbes. I eat there, and the food and drinks are good. The staff is good, and do know english if you do not know alot of French.There is a/c in the rooom, but the blower for it is near the door. It cooled, but not enough for me. The hotel is nice, but next time, I would try to stay more in the center of Paris. Dear guest , Thank you so much for this nice review ! We do have rooms facing a very quiet courtyard , do not hesitates to book on of these rooms for your next stay . Thank you for your compliments to the staff ! Nice and clean hotel with a good location, you have 2 metro stations about 5 minutes away. The room is small (especially the toilet) but perfect and very functional. We stayed for one week and have nothing bat to say about this hotel. Dear guest , Thank you so much for this nice review . 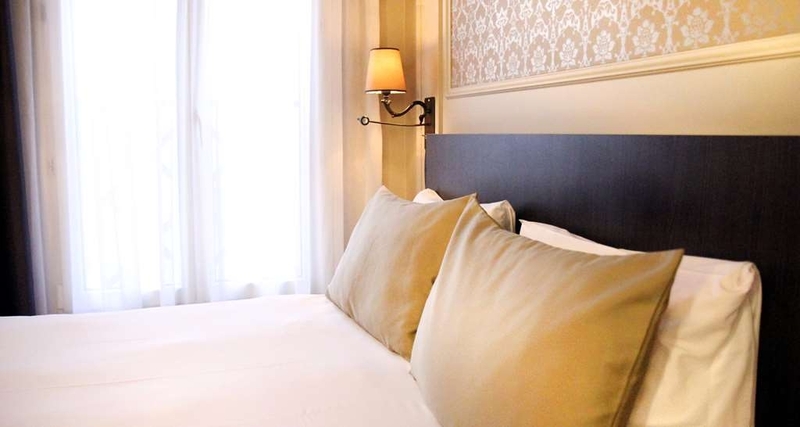 Do not hesitate for your next stay with us to book a superior especially for a long stay ! We will be happy to welcome you back ! Dear Guest , Thank you so much for this wonderful review ! We are so glad you enjoyed your stay that much . We will be delighted to welcome you back ! Do not hesitate to contact us directly for your next booking . "Literally depends what member of staff you have"
"Hotel OK, WiFi unbelievably horrible"
Though in the middle of a one week stay, I'm so fed up with the terrible WiFi connection that I must write this now. But getting on to the TripAdvisor site is proving to be no easy chore. The hotel is good from every point of view except WiFi. So if you do not need that service, stay here. But if you need to be regularly on the Internet, by all means, go elsewhere. It may be that it is simply a question of room location, so avoid, whatever you do, room 29. Breakfast good, rooms postage stamp size but clean and tasteful, neighborhood, despite bad reputation, colorful and interesting. Subway and bus connections outstanding. Great hotel with a nice location, you have 2 metro stations about 2 blocks away. The staff was very kind and they even let me check in early since I arrived at around 8am, for that I'm very thankful. The room is small but perfect and very functional. Maybe the only downside is that it was a little cold, tried turning on the heat but couldn't. surprisingly nice hotel, rooms were very nice, not so small (as one would think in Paris), stylish shower. The toilet is only very small (separate 0,5m2 room) and separated from the shower. It did not matter so much, as you r anyway outside in the city. metro stop close by, parking also. Breakfast is small, but totally covering everyone's need (unless you are used to have caviar for breakfast). One thing i did not like - i was changer like 20 euros more compared to what i was told on the website upon booking. "Excellent, modern, clean, comfortable and friendly"
This is an hotel in which I stay a lot. I would say that it's my favourite in this range in Paris. The location is good for me. Close to the Barbes-Rochechouart metro station and with a Carrefour supermarket nearby. The bar across the road does an excellent cheesburger, too. It's not an area for everyone, but I like it a lot. Be aware though, that Barbes-Rochechouart metro station is the pick-pocketing centre of Paris. The hotel reception is friendly, with very pleasant and helpful English-speaking staff. There is a vending machine in the lobby for emergencies. 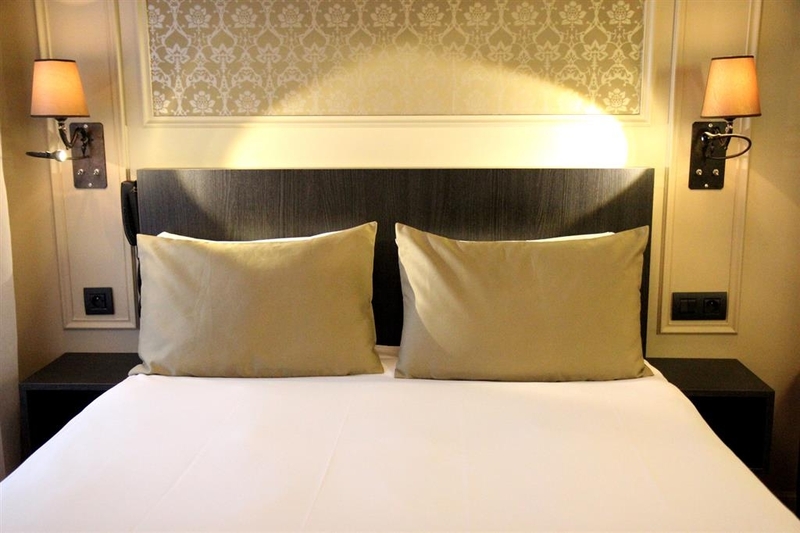 The rooms are air-conditioned, very clean and modern and have an excellent, well-designed shower room. The beds are wonderful. The room is a bit small, though not for Paris, and there's no refrigerator, which I miss, but the rooms as a whole are brilliantly done. For families or single ladies of a nervous disposition the area may be a turn-off, but it's perfectly safe. All in all a great little hotel. 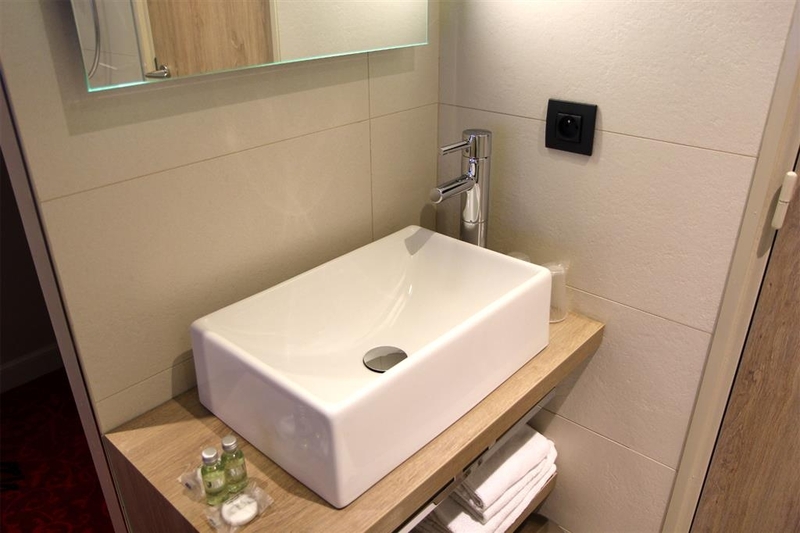 The hotel is very comfortable and clean with contemporary furnishings. Rooms are small but bigger than feared after reading some of the more hysterical reviews on TripAdvisor. The staff were excellent. Helpful and friendly. Sacre Coeur is up the hill just 10/15 minutes walk away. At night the steps leading to Sacre Coeur are full of people taking in the magnificent view of Paris, guitars and sing alongs are optional. Take a bottle and a friend to share it with. The morning is less lively but just as busy. Fantastic and free. The area is home to dozens of haberdashery and fabric shops. A mixed cultural area with loads of lively bars, cafes and takeaways. Not cheap but less pricey than some other parts of Paris. Check out the restaurants on Rue Lamark, which overlook Sacre Coeur for choice of traditional French, good pizzas at Babalou and creperies. Afgahni close by is also highly recommend, friendly staff and excellent food. Those living in 'middle class gated communities' may find the mix of cultures, graffiti and litter somewhat of a shock. Those of a less sensitive disposition will love it. You get what you pay for, pleasant hotel in itself, beds are comfy ish and breakfast is quite nice, 24hr reception is handy and the room was nice enough with tea or coffee. However, the bathroom format was odd due to no door & the area is very dodgy, I wouldn't recommend to a family as there is another Best Western a couple of streets away where I would have felt safer. Even our taxi driver said what a dodgy area it is! I especially don't recommend that you get the metro from the Eurostar station as you need to get off at Barbés which was most shifty indeed. But if you're looking for a cheap decent place for just a bed then a lovely choice as near lots of metros and literally 2 streets from Sacre Couer which is good. "Good and well located little Hotel"
There were tops and not so good things about this. High lights: Very central position, close to metro and train stations (especially the Gare du Norde). Nice, modern little hotel. No fuss. Low lights: Normally not something that would bother me, but this time I was travelling with my mother-in-law, and when we arrived in the hotel there was an open shower room with no door in the room. Travelling with my partner, we would probably love it, but with his mother...less so. Zero privacy (except the WC). Just good to know in advance in case you need privacy. Also, generally the western part of Montmartre is a bit more touristy and nicer to stay, but it was still nice and the street is less touristy. 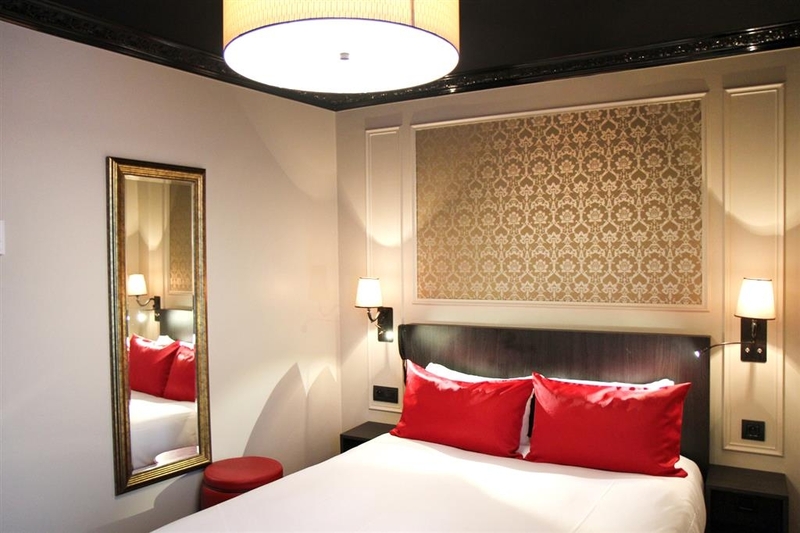 "Really nice for a weekend"
Very clean and lately renovated Hotel, close to Gare du Nord. Would book it again at anytime. Area is ok, you can find nice bars. Close to a nice little restaurant, Sacre Fleur. You got everything you need. Small but really nice. And reasonable priced for the location in Paris. I book into this hotel 2 days before arriving in Paris on Internet. I chose it because it mentioned on the website that I could book online and pay on arrival. My first surprise was to discover that they had reserved the amount of my entire stay (12 nights) on my account. I immediately send an email to enquire and received a response saying it was usual procedure. On arrival, I paid the entire stay but they still refused to stop the reservation until I leave no matter how much I complained. This was never mentioned on their website, it's no way of doing business and I bet illegal . Had I known that before I would have never booked in this place. Unfortunately, I am still stuck here. On top of that some of their service delivery is not worth a 3 stars hotel. Don't book into this hotel. "Well located for Montmartre but pricy!" what a great hotel we found here , check in was easy and although we were early the hotel stored our cases until our room was ready .The hotel has a lift to all floors and our room was excellent . The room was of a high standard with a great shower and separate wc . There is a great bar over the road from the hotel and loads of food outlets close by with a McDonald's just over the road if you want fast food . I would recommend this hotel to anyone thinking of booking . "Unusual place, but worth staying at." Good location ,just 5 mins walk from Sacre Coeur. Friendly and helpful staff. Small room, but it has the cosiness to it. Large shower is a big plus. Perfect if you're looking for a cheap place. Nothing extravagant,but that's the beauty of it. First trip to Paris and I wish I had of done more homework. The good points were the room was clean, staff were fine and the location (close to the Met and also Sacre Cloeur) was good. In my opinion the room was a let down. We stayed for 5 nights. It's very small. Hardly room for one suitcase let alone two and the storage was minimal. The shower and vanity were in the bedroom. There is no partition separating the two. If your staying for a couple of nights ok. Five nights, go somewhere else. Stayed for 1 night, couldn't have handled any longer. One receptionist was polite and professional but the night porter ain't half grumpy. The lift is small, 1 person plus a suitcase and that's your lot. It seemed as if the hotel was in the proses of being refurbished which seemed promising - how wrong I was. Room was unbelievably small. I wasn't expecting luxury but a bedroom that contained a double bed, the sink and shower is one up from a hostel. The toilet was in a separate, again small, room. No wardrobe just a rail with a couple of hangers. The room was so hot at night and there wasn't even a fan. Could have opened the window but the noise from the street is pretty loud. No tea making facilities in rooms. The surrounding area is quite funky with lots of busy bars, restaurants and cafes. That was literally the only positive from the whole experience. Do yourself a favour and stay some place else!